Two more actors will be joining the opening credits of The Walking Dead next season. According to The Hollywood Reporter, recurring cast members Callan McAuliffe and Avi Nash have been promoted to series regulars for the upcoming ninth season of AMC’s post-apocalyptic zombie hit, which is scheduled to begin airing in October. McAuliffe’s character is Alden, a member of the villainous Saviors who, after surrendering to Maggie along with some of his compatriots, grows disillusioned and chooses to join the Militia. 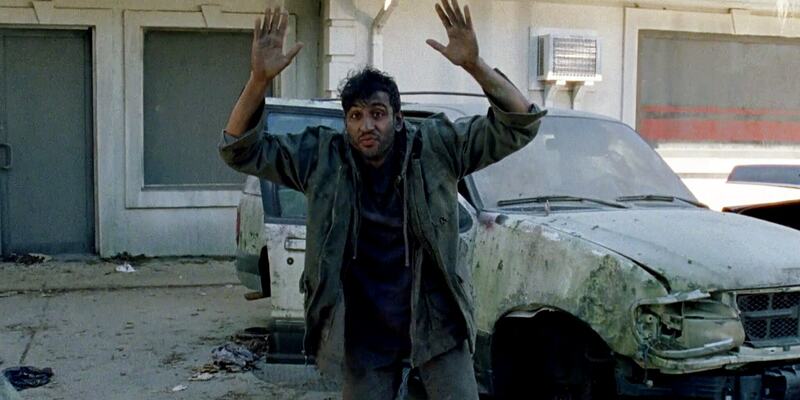 Nash plays Siddiq, a devout Muslim and former medical resident who becomes the Alexandria Safe-Zone’s doctor. Their ascension follows the loss of two regulars from season eight of the show notorious for the high mortality rate of its major characters. The Australian Callan McAuliffe has acted in films including Baz Luhrman’s literary adaptation The Great Gatsby with Leonardo DiCaprio, Rob Reiner’s Flipped and D.J. Caruso’s sci-fi adventure I am Number Four, and will appear in Summer Night, due in theaters later this year. Avi Nash’s credits include the Barack Obama biopic Barry, the dramedy Learning to Drive and an episode of the HBO program Silicon Valley, as well as the upcoming film Hosea. Their roles on The Walking Dead will be their first as series regulars. It’s nice to see two up-and-coming actors get a break like this; hopefully they’ll be able to stick around longer than some of their fellow Walking Dead stars from seasons past. Did you like season eight of The Walking Dead? Are you happy about McAuliffe and Nash’s promotions? Do you think Alden and Siddiq will survive season nine? Let us know in the comments!